Join us for a full week retreat in this incredibly peaceful setting, just a couple of minutes outside the charming village of Hutton-le-Hole. Allow yourself the time to go deeper into practice and tap into the stillness of this beautiful countryside setting. Barmoor Lodge is an Edwardian house on the North Yorkshire Moors with fantastic views of the surrounding countryside from every side. Bedrooms are basic but bright and airy and communal areas are cosy with open fires and big sofas. The yoga space itself is in its own building just outside the lodge and has a wooden floor, a log burner and huge windows which bathe the space in natural light. A simple garden surrounds the house with a few tall pines and picnic tables at which to sit and admire the views. There are no single bedrooms, but you can choose from sharing in a double room, triple room or multiple room (between four and six sharing). All bathrooms are shared too. If there is someone else who has booked onto the retreat who you’d like to share with, feel free to let us know and we’ll do our best to accommodate (you must both book the same type of room). Expect seasonal, organic food which is nutritious and delicious in equal measure. Meals will include plenty of options, so you can choose to eat light if you wish but if you’ve got a good appetite, don’t worry, there’ll be plenty to fill you up. Food will be predominantly vegan, although we’ll have cow’s milk available for cups of tea etc. Food will be rustled up by the lovely Emily Evans, former chef at Purple Valley Retreat Centre. This retreat is only suitable for experienced Ashtanga students who have an established Ashtanga yoga Mysore-style practice and know the Ashtanga sequence. If you are not sure whether this retreat is suitable for you, please check with us by getting in touch via the booking form at the bottom of the page. Daily morning meditation, mysore-style practice, afternoon workshops most afternoons comprising of: technique classes, contemplation and journalling, chanting, restorative yoga. One or two free afternoons in which to relax, explore the local area, possibly go on a long-ish walk nearby (optional). We’ll give more details of the schedule closer to the time. We’ll eat breakfast together, wrap up and then pack and head off around 9am. *please note, we will add further details this is only a rough outline of the schedule and is subject to change, (although the Friday 10th arrival and start time and Friday 17th end time will not change, so you can go ahead and arrange travel based on these times). Although a duvet and pillow are provided at the centre, you will need to bring your own bedsheet, single duvet cover and pillowcase. Please bring your own yoga mat if possible or let us know if this is going to be awkward for you and we’ll bring one for you. 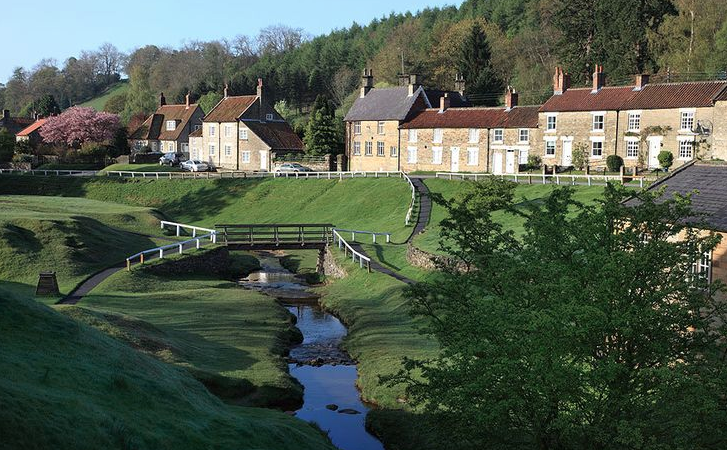 To get to Barmoor Lodge, whilst driving through Hutton-le-Hole village (heading North), take the left hand fork, continue for a couple of minutes and then take the turning on the left hand side. On your left there is a small path to a residential property, ignore this and drive down the right hand path for a minute and you’ll arrive at the gate of the lodge. There’s plenty of space to park. If you’re taking public transport to Hutton-le-Hole, let us know in advance what time you’ll arrive there and we can arrange for someone to give you a lift, otherwise it’s about a ten minute walk. Please specify which room type you would like. Once we receive your booking request we will confirm whether a space is available and then send the payment details.